Flat admin template for multi-purpose usage built with the most popular framework, Bootstrap. 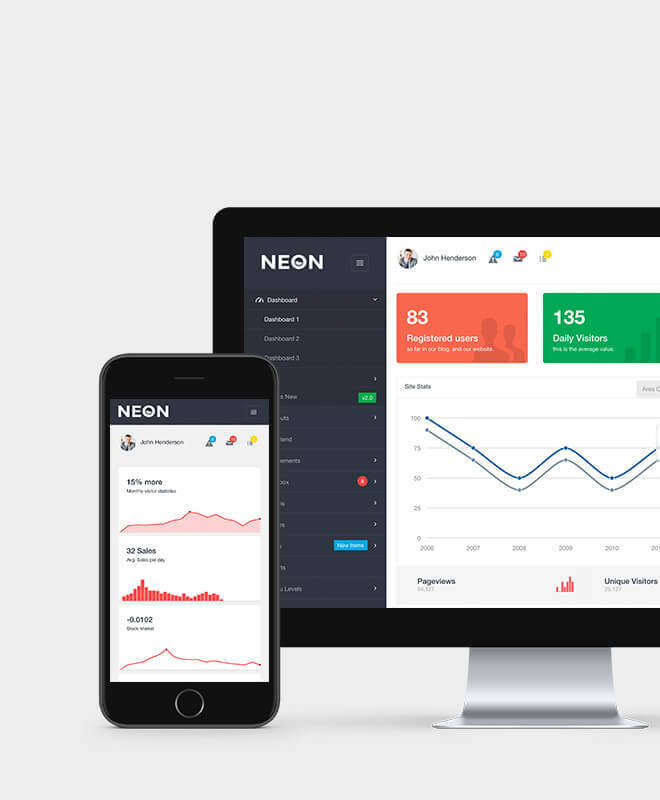 Neon is among 10 bestselling admin templates of all time. It contains more than 60 HTML files which offer you great variety of layout options and resources, and it will be extended in the future updates with newer plugins and pages.